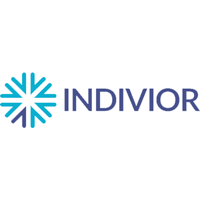 Indivior PLC (LON: INDV) on Saturday announced data from two new studies: the first provides insights into dosing of once-monthly SUBLOCADE™ (buprenorphine extended-release) injection for subcutaneous use (CIII), for the treatment of moderate to severe opioid use disorder in patients who inject opioids, and the second study reports on the impact of therapeutic plasma concentrations of buprenorphine in inhibiting the respiratory depression caused by fentanyl. The results were reported at the 50th Annual Conference of the American Society of Addiction Medicine (ASAM) in Orlando, Florida and follow Friday’s announcement of results from the RECOVER™ study and the 18-month long-term safety study. Injecting opioid users (based on self-reports) treated with the SUBLOCADE maintenance dose regimen of 300 mg remained in treatment longer and had a higher study completion rate than those treated with the 100 mg maintenance dose. Furthermore, the mean percentage abstinence (Weeks 10-25) was higher among injecting users treated and maintained with SUBLOCADE 300 mg (58%) vs. those maintained with SUBLOCADE 100 mg (43%); the difference in group means was 15%. Among non-injecting users, the percentage with continuous abstinence was the same (28%) in both dose groups. These findings are consistent with previous reports that injecting opioid drug users may benefit from higher doses of methadone or buprenorphine.1,2 “Indivior is planning additional studies to further characterize the patients for whom a higher maintenance dose of SUBLOCADE may be warranted,” said Dr. Heidbreder.